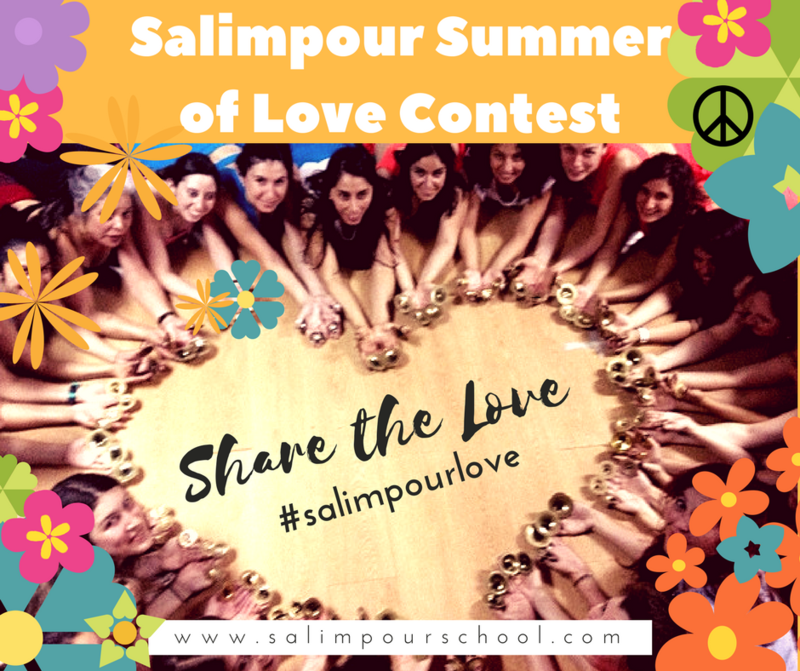 Celebrate the 50th anniversary of the Summer of Love with the Salimpour School! We know you study with the Salimpour School because you love challenging yourself to be the best dancer you can be. Let us share YOUR dedication with the world! To do that, we’re excited to announce our 2017 summer contest! The winner of this year’s contest will be awarded attendance in a multi-day Salimpour School workshop at our home studio in Berkeley, California, within the calendar year of July 2017 – July 2018. Second place will win 6 months of online classes at salimpourschoolonline.com, and our third place will win $100 worth of audio training downloads of your choice (cymbal jams and drill breaks). To enter, create a short video AND write a blog post about why you joined the Salimpour School and what Salimpour certification means to you. Share the LOVE for the Salimpour School and legacy. All videos and blogs will be presented to an outside committee, and the committee will select one winner who will receive a credit to attend any Salimpour workshop within the calendar year of July 2017 – July 2018. Please submit links to both your blog and video by May 1st. Winners will be announced in June. You will retain all rights to any blog or video you submit — including ownership if applicable. If you enter the contest, you grant Suhaila International, LLC a royalty-free, nonexclusive right in perpetuity to use and display the video and blog on the Suhaila International, LLC website, on the Internet, and in Social Media.